Shaheed Udham Singh identified himself with both Ram and Prophet Muhammad, while using Singh for his own faith. He had lost his parents when he was just seven. At the age of eight, he and his brother were sent to an orphanage in Amritsar. Ten years later, in 1917, his brother passed away. The next year, after completing his matriculation, he left the orphanage only to witness the massacre at Jallianwala Bagh in 1919. Very few have suffered greater tragedies than this 20-year-old. But why I am sharing this bit of history. Because this boy would give to himself a name that no Indian has ever had. And if names were the criterion for glory, I am not aware of a better name. He was born as Sher Singh, but when he was admitted to the Central Khalsa Orphanage in Amritsar, they renamed him Udham Singh. Later, Udham Singh would give himself a new name during the last years of his life. Shortly after the massacre at Amritsar, he moved to the United States, where he was briefly associated with the Ghadar Party, and then returned to India. Arrested in India for possession of unlicensed weapons, Udham Singh was sentenced to five years in prison. After his release, he escaped from Punjab to Kashmir, and reached England via Germany. A screenshot of Frank Brazil, a ballad based on the life of Udham Singh by Delhi band, The Ska Vengers. On March 13, 1940, he shot Michael O'Dwyer, who was the lieutenant governor of Punjab when the Jallianwala Bagh massacre took place. He, however, did not run away and instead offered himself up for arrest. That was the time for him to rechristen himself. 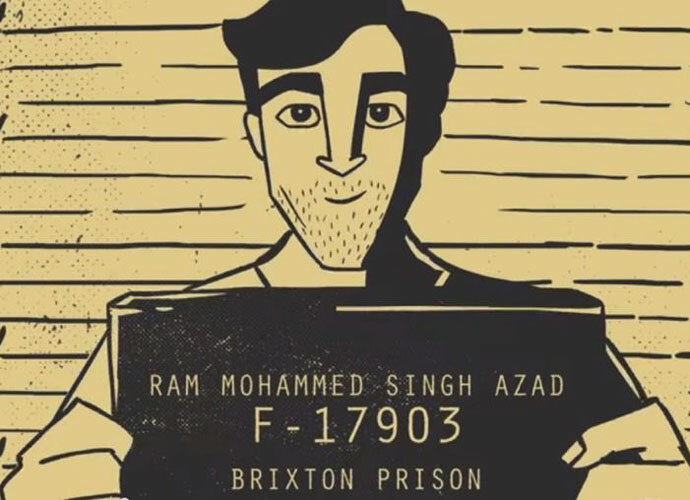 When asked to reveal his identity, Sher Singh, who had been renamed Udham Singh, announced his name as Ram Mohammad Singh Azad. By doing do, he identified himself with both Ram and Prophet Mohammad, while using Singh for his own faith. Azad stands for freedom, a ‘surname’ that was also used by Chandra Sekhar and Maulana Abul Kalam. But long before Bollywood came with its kitschy Amar Akbar Anthony, there was a name that would go down as perhaps the best ever for an Indian. The child Sher Singh, who went on to become Udham Singh and later immortalised as Ram Mohammad Singh Azad. It's way better than Taimur. Know of a better Indian name?